Kate chose to complement her one-shouldered Alexander McQueen floor-length dress with the ideal accessory: a pair of dazzling diamond and South Sea pearl drop earrings that once belonged to her late mother-in-law, Princess Diana. The dress featured a floral motif on the shoulder and ruffled detailing. According to reports, the same earrings were worn by Princess Diana in 1995 when she accepted the Humanitarian of the Year award from the United Cerebral Palsy Foundation. See photos of Middleton's and Prince William's looks at the 2019 BAFTAs below! 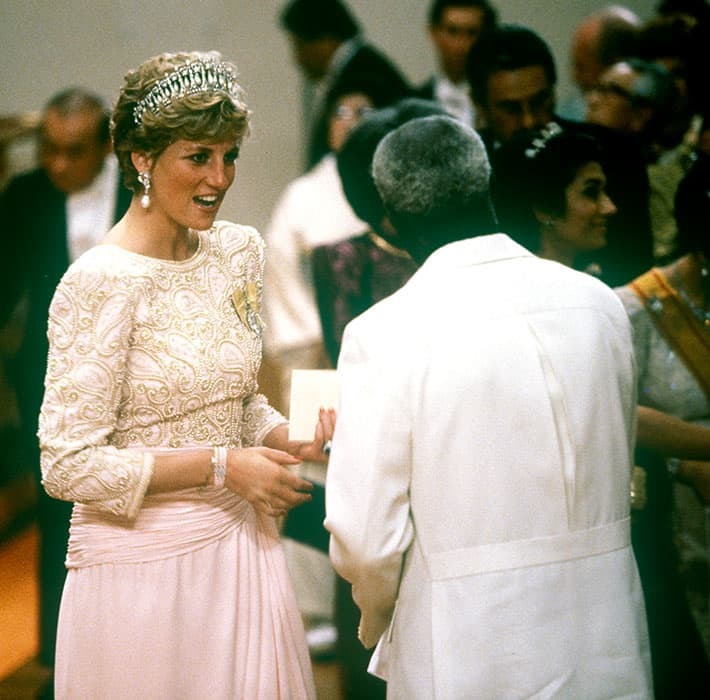 The late Princess of Wales wore the diamond and pearl earrings for several black tie events, including to a 1990 banquet held in honour of the Emperor Akihito of Japan. He presented the BAFTA Fellowship, a top honour to film editor, Thelma Schoonmaker.